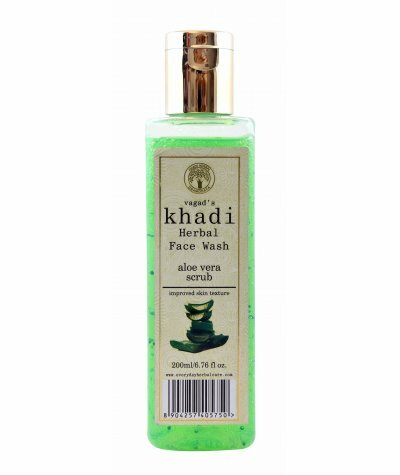 Vagda Khadi is the maker of "Personal Care Products" like Shampoo, Hair Oil, Soaps, Lotions, Scrubs and Packs and so forth. It is approved by Govt. of India for Khadi and Village Industry Commission. It additionally accredited with different accreditation like ISO 9001:2008, GMP and Organic Certified (Germany). 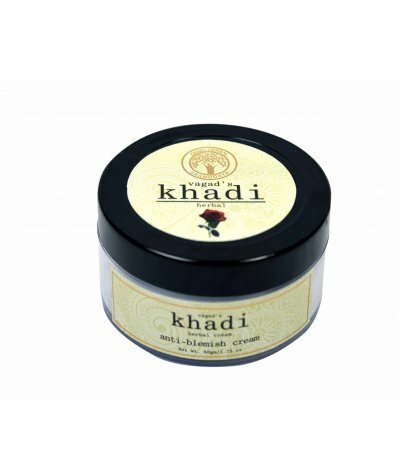 Vegad Khadi has its own Research and Development team which focuses on most recent development. Organic ingredients are cautiously chosen for their quality and properties in skin, hair and complete beauty medications. The range of ingredients sourced include therapeutic essential oils, berry seed oils, and some oils from the tropical rain-forests of the Amazon. 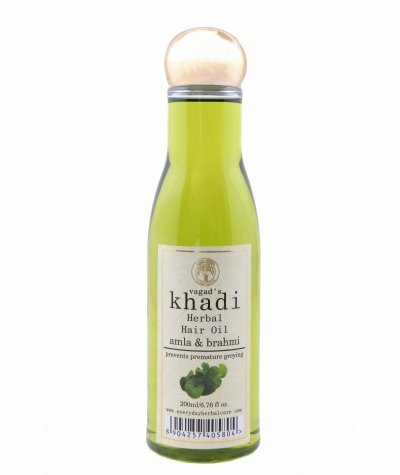 Dominant part of the herbs utilized are sourced from natural ranches in tropical and subtropical locales of India and different nations. Their production plant of more than 34,000 sq. ft has been designed to cover the entire life process of our products, from research and development up to production and release. One of the basic principles behind Everyday Herbal Beauty Care is compliance with environmental regulations. 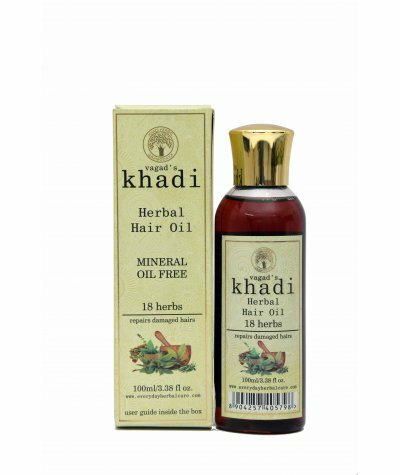 Vagad`s Khadi 18 Herbs Mineral free Hair Oil is based on Ancient Indian Ayurveda, contents blessing of 18 herbs. 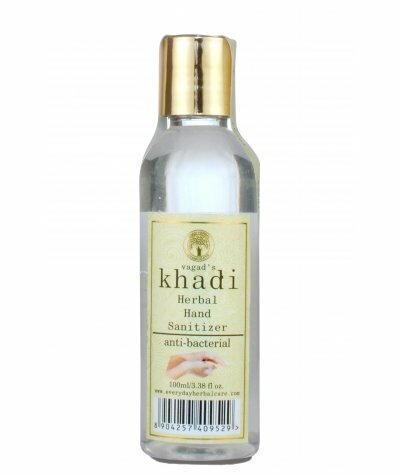 It prevents dandruff and give peace of mind. It give you freshness and great invention .. 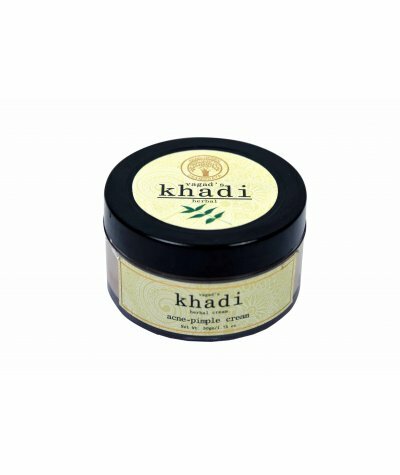 This Vagad’s Khadi acne pimple cream is blended with natural herbs suited best for acne and pimple. 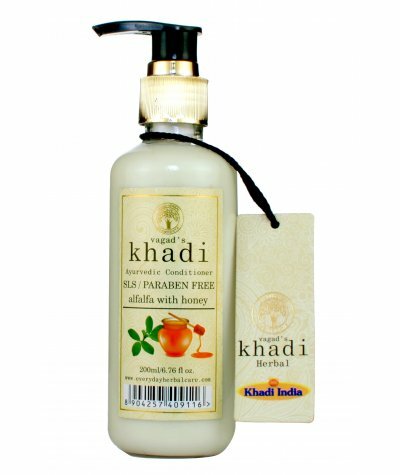 It contents - Neem Extract, Basil Extract, Aloevera Extract, Tea tree, oil Calendula Extract, Clove ..
Vagad’s Khadi conditioner is rehydrating formula of Alfa Alfa extract with Honey extract. 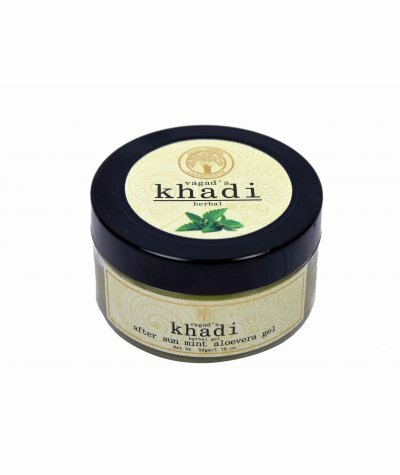 It also contains the other herbs like Aloevera extract, jojoba oil, apple extract. 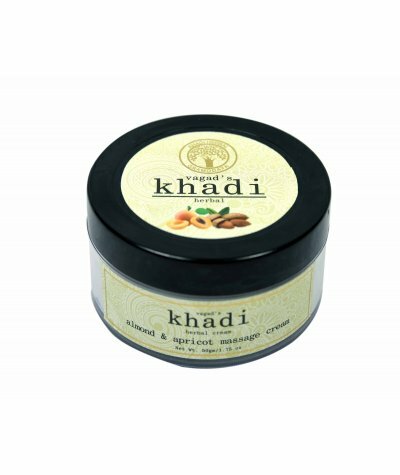 It clean your hair, provide..
Vagad’s Khadi massage cream is enriched with Almond Extract and apricot as key ingredients. It can be used to gently dislodge debris from deep within skin pores and follicles, and also may help preven.. 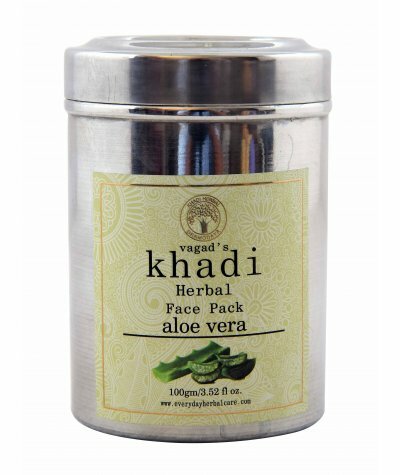 Rejuvenate and Moisturize your skin with Vagad’s Khadi Aloevera Face pack. 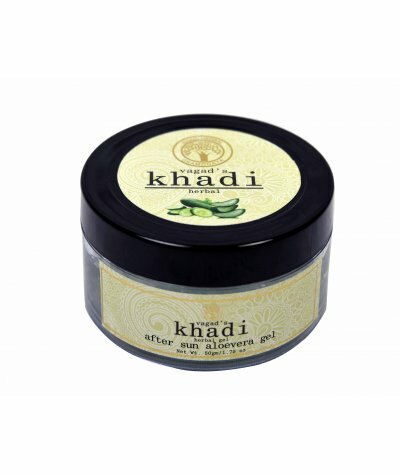 It removes dead skin and provides glowing skin. 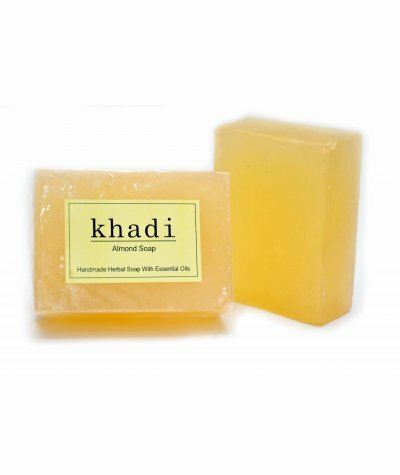 With removal of dead skin cream make your skin feel alive and refreshing like..
Vagad`s Khadi Handmade Herbal Aloevera Soap with Essential Oils maintain moisture balance. 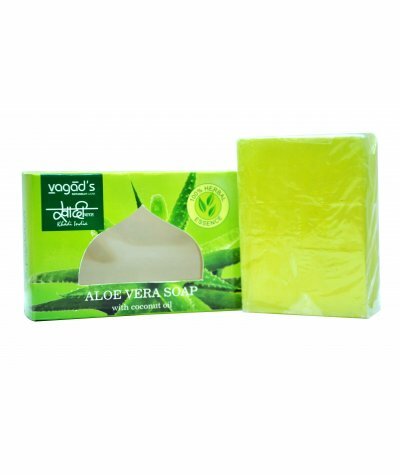 Aloevera is well known for moisturizing and revitalizing effect. 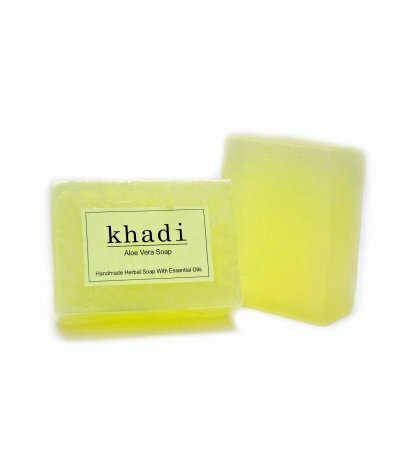 Regular of soap is best way to keep your sk..
Vagad's Khadi Amla and Brahmi Hair Oil. 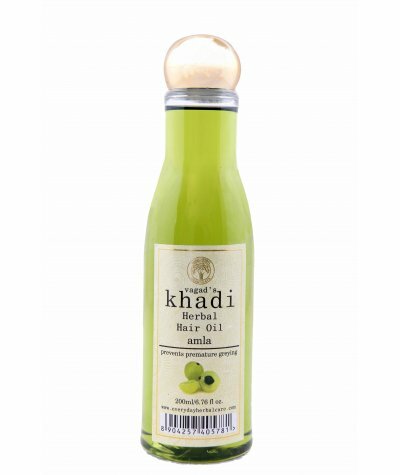 Prevent premature graying of hair with Vagad`s Khadi Amla and Brahmi Hair Oil. Presence of vitamin c in Amla helps halt pre-mature graying. 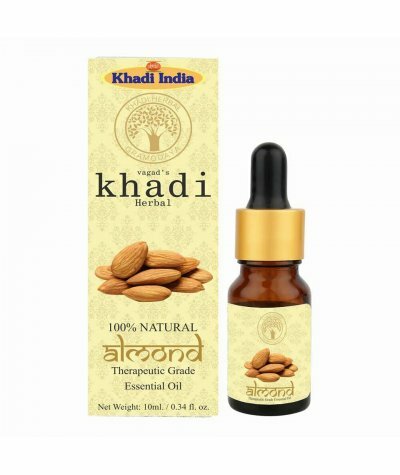 Antioxidant property of this oil promotes hair growth, reduc..
Vagad`s Khadi Amla Hair Oil is blended with Amla Oil as key ingredient which is a richest source of Vitamin C & antioxidants. 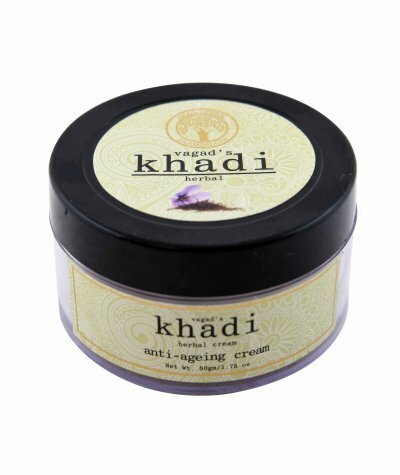 It helps maintain youthful hair color and retards premature graying and su..
Vagad’s Khadi anti-ageing cream is blended with Aloevera Extract, Goat milk powder, Saffron Extract, Ashwagandha Extract, Apple Extract, Almond oil, Wheat germ oil, Kokum butter, Glycerin. 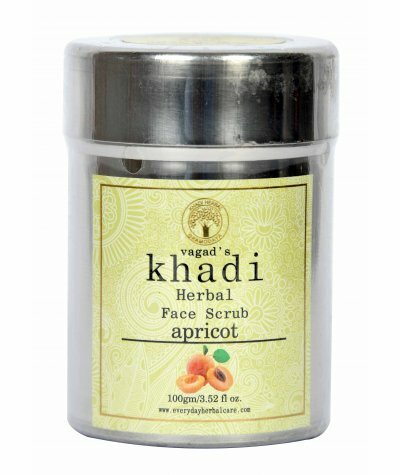 Its formula..
Vagad`s Khadi Anti-blemish cream has the goodness of Papaya Extract for its anti-blemish property. Cream also moisturize your skin. It gives you even tone skin..